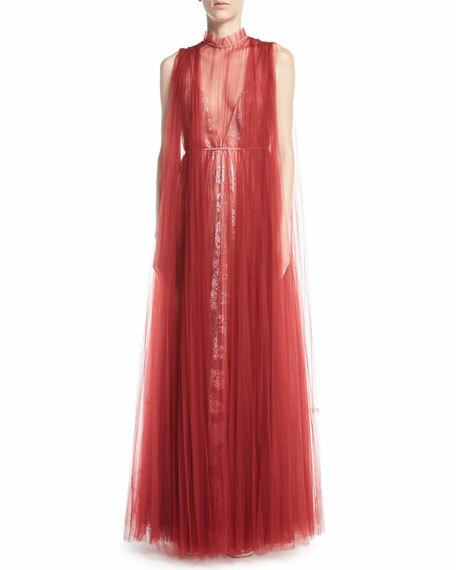 Valentino gown in floral lace with flowy tulle overlay. Tulle overlay features high collar. Chiara Boni La Petite Robe "Alegria" gown with peplum and embellishments. Approx. 64"L down center back. Bateau neckline. Three-quarter sleeves.